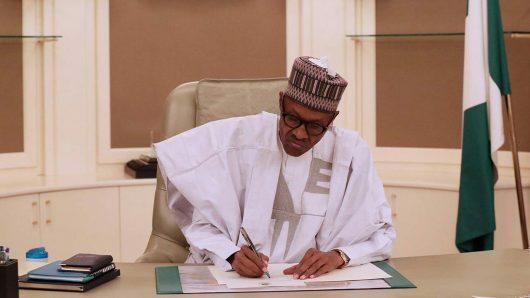 The Presidency has debunked the reports that certain foreign power blocs were putting pressures on President Muhammadu Buhari to drop his 2019 re-election bid. Describing the report published by a national daily (not this newspapers) tittled ‘Pressure mounts on Buhari not to seek re-election’, as a fiction, Special Adviser to the President on Media and Publicity, Femi Adesina, also alleged that those afraid of meeting Buhari at the polls were behind the news. Adesina wrote “Under the headline, ‘Pressure mounts on Buhari not to seek re-election,’ the fiction parading as news claims that foreign powers, including the European Union, United States of America, United Kingdom, and Saudi Arabia, are putting pressure on President Buhari not to seek re-election, due to some concocted reasons.